Adding value to your home can be easy! 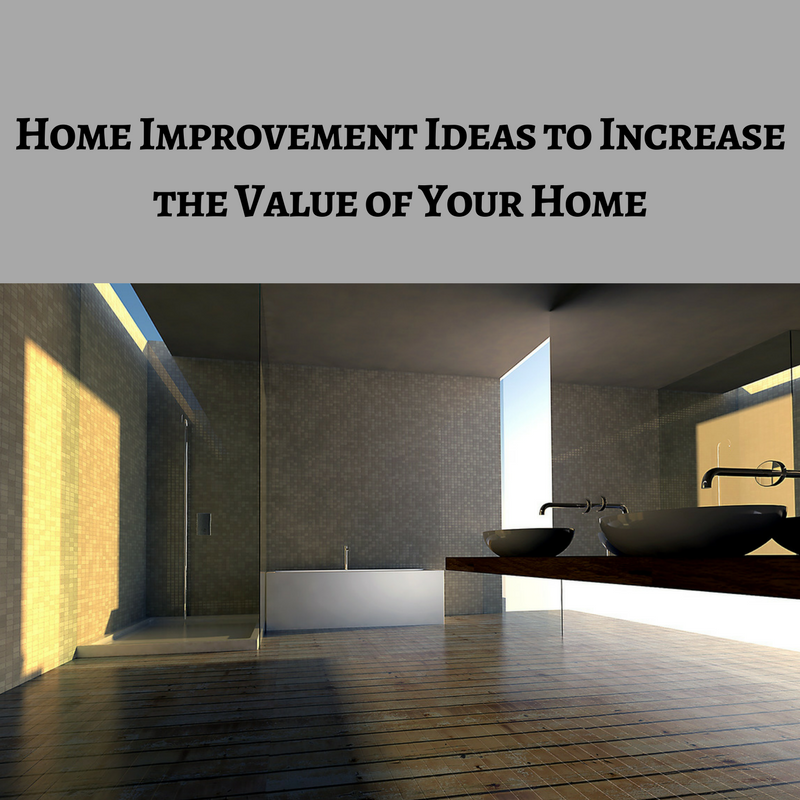 Here are some home improvement ideas to keep in mind when trying to add value to your home. First impressions matter! The outside of the home is like the cover of the book. It is what is going to draw buyers in. When you have an unkempt yard, it will immediately drop the value of the home because people assume what is on the outside of the home reflects what is on the inside. Home improvement doesn’t just mean the home itself! Here are our recommendations when it comes to increasing your home value by upgrading your curb appeal. Home maintenance tasks should also be tackled immediately. Home buyers expect certain things to be maintained in a home. Don’t neglect your beat-up deck or dented garage door. Especially because it can be such an easy improvement to your home. You may think you can procrastinate on these tasks when you live at the home, but a potential buyer will not take kindly to this. Each home buyer has a set price in mind when buying a home which should not include the cost of basic maintenance projects. Inside the home, the kitchen is absolutely one of the first places a buyer likes to look. Any kitchen update will immediately add value to the home. Kitchen remodels and updates is where you will make up a greater percentage of your investment. You do not have to make it a major home improvement, but consider the fact that the kitchen is the most common space where families will congregate. Quick fixes: adding a back splash, changing knobs on cabinets, adding molding to old cabinets, re-staining cabinets, upgrading old fixtures, etc. Here’s Buzzfeed’s list of quick DIY fixes! We would say that the bathroom is another room that adds value to the home. Outdate walls, fixtures, and cabinet can take a toll on the value of the bathroom. Small bathroom updates give you a bigger return for your money. Even a simple change, like a new coat of paint, can make a HUGE difference. In most cases, home buyers will want a home inspection before purchasing! This will give you allow you to get a jump start on any problems that a buyer may encounter with a home. If the home inspection is free and clear buyer are more likely to purchase. If you must choose, upgrade the stove top versus the refrigerator. This will add more value to the home since refrigerators are more frequently replaced. Granite countertops, extra storage, new flooring, etc. All in all, it takes time to add value to your home. Plan on tacking one room at a time! This will make a larger project seem more attainable and will mitigate your stress in the interim. Just remember, any project that you accomplish (big or small) can add value to your home. PreviousMake Your Laundry Room More Functional and Laundry More Enjoyable!